The book that changed DBZ forever. Rediscover Dragon Ball Z for 4.99! Available in print on Amazon for 9.99! Available in hardback on Amazon for 14.99! Also on B & N for the same prices. The Spanish translation that is on fire. Think there’s more to the series than action? Want to learn why Goku and Vegeta inspire? 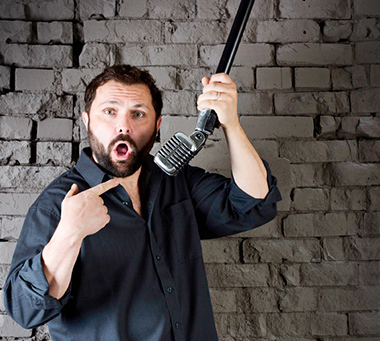 “Who’d have thought my delivery of 1 line of dubbing would be the title of a book? 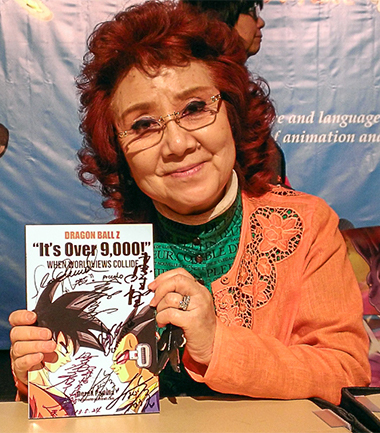 Featuring a Foreword by Ryo Horikawa, the Japanese voice of Vegeta, this 104 page book includes a full historical expose and impact of the “It’s Over 9,000!” meme, a 70+ page analysis of Goku and Vegeta’s colliding worldviews, and a treatise on why this social media wonder has stood the test of time. 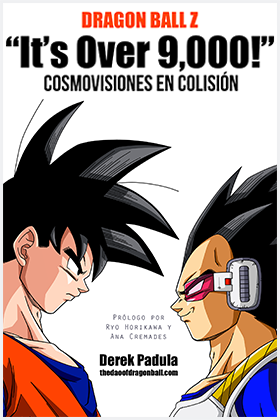 The Spanish version also features a Foreword by Ana Cremades, the Castilian voice actress of Goku, Gohan, and Goten as children. This is what happens… When Worldviews Collide! Download a sample chapter or buy it at Amazon, iTunes or B & N.
Want a signed copy? Contact me and I’ll give you my PayPal info and ship the book worldwide.